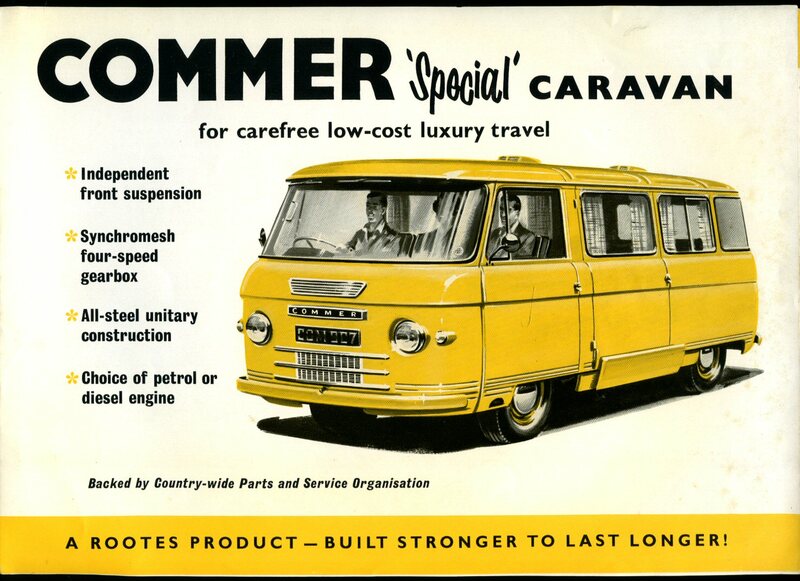 Published in House by Commer Cars Ltd., Luton, Bedfordshire 1965. 1965. Publisher's original illustrated single page double-sided sheet. Landscape 8½'' x 11½''. In Fine condition. Member of the P.B.F.A. Published by The Crowood Press Ltd., Ramsbury, Marlborough, Wiltshire First Edition 2005. Wiltshire 2005. Published by Sir Isaac Pitman & Sons Ltd., Parker Street, Kingsway, London Second Edition 1933. London 1933. 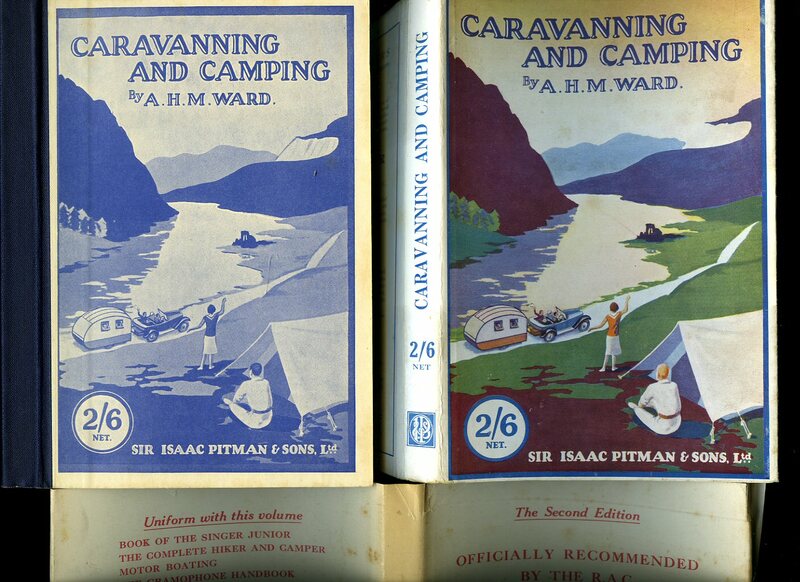 Publisher's original blue and white illustrated thick card board covers, navy cloth spine. 8vo. 7½'' x 5¼''. Contains xii, 172 printed pages of text with monochrome illustrations and photographs throughout. Without any ownership markings, corners sharp. Fine condition book, in very near Fine condition dust wrapper with one tiny nick to the top of the spine, priced 2/6 to the spine and the front cover, unopened new book. Complete with wrap around paper band. Dust wrapper supplied in archive acetate film protection, this protects and prolongs the life of the paper, it is not adhered to the book or to the dust wrapper. Member of the P.B.F.A. 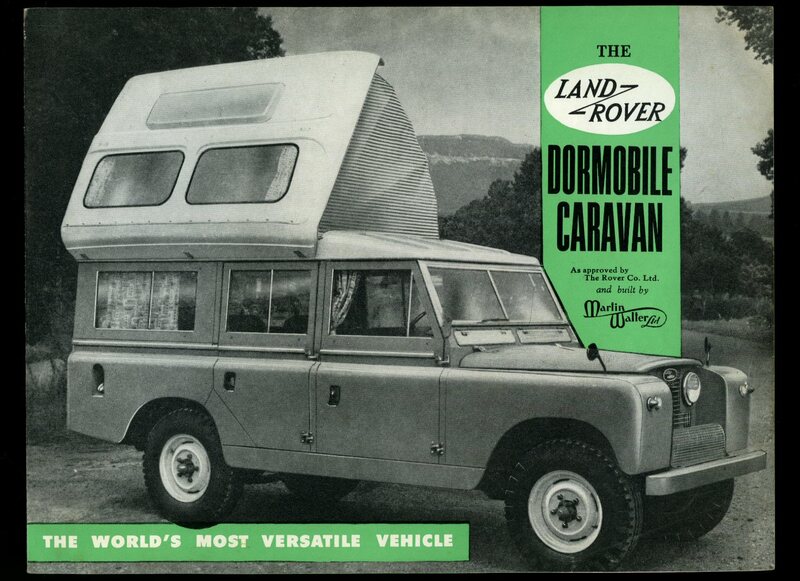 Published in House by Martin Walter Ltd., Dormobile Works, Folkestone 1962. 1962. Publisher's original illustrated card wrap covers [soft back]. Landscape 8½'' x 1''. Contains 4 pages with monochrome photographs. In near Fine condition, no dust wrapper as issued. Member of the P.B.F.A. 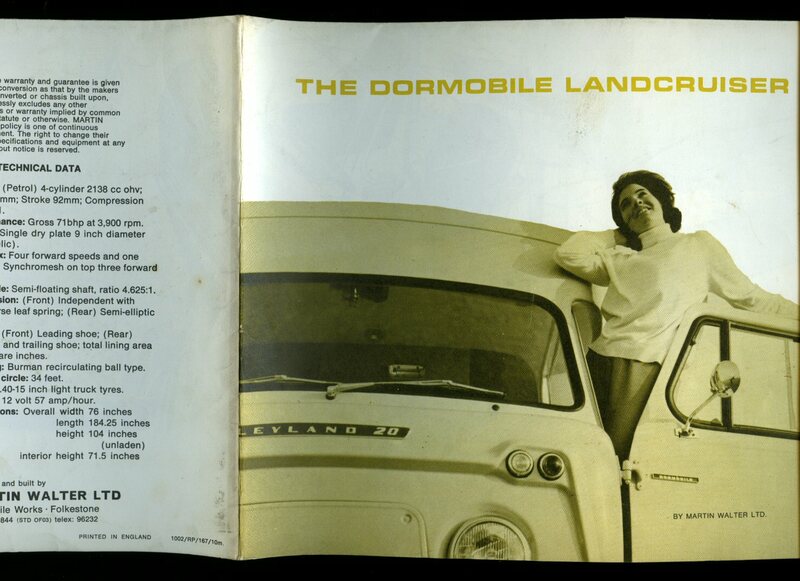 Published in House by Martin Walter Ltd., Dormobile Works, Folkestone 1965. 1965. Publisher's original illustrated card wrap covers [soft back]. Double sided landscape 8½'' x 11'' opening to 16½'' x 22''. Contains monochrome photographs and small inset drawings. In Fine condition, no dust wrapper as issued. 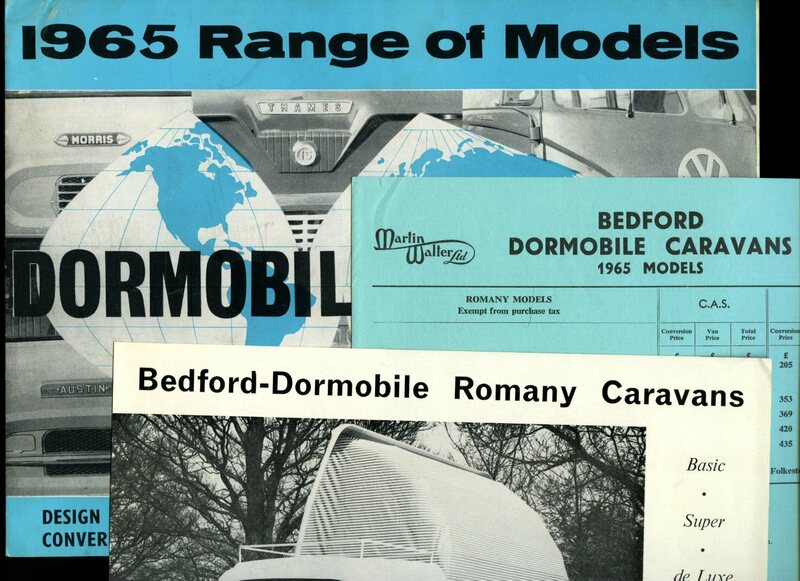 Price List and separate flyer for Bedford Dormobile Romany Caravan loosely inserted. Member of the P.B.F.A. 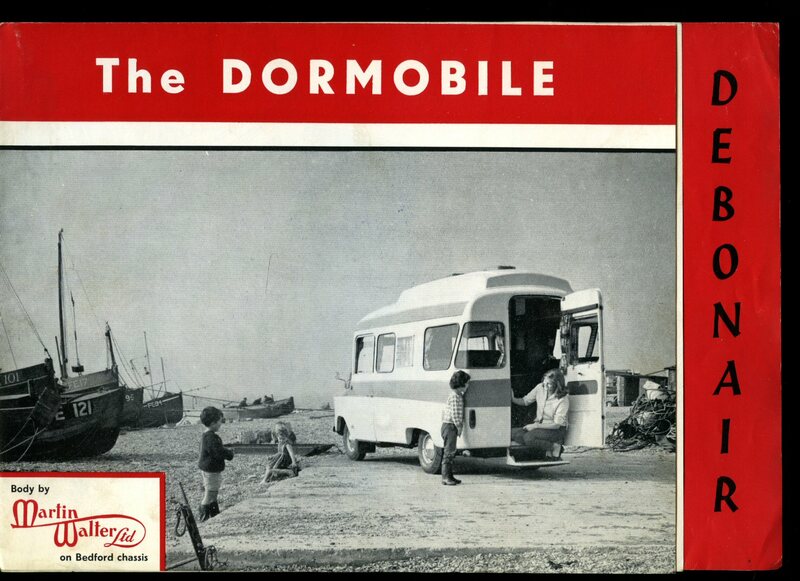 Published in House by Martin Walter Ltd., Dormobile Works, Folkestone 1964. 1964. Publisher's original illustrated card wrap covers [soft back]. Double sided landscape 8½'' x 11'' opening to 16½'' x 22''. Contains monochrome photographs. In Fine condition, no dust wrapper as issued. October 1964 Price List loosely inserted. Member of the P.B.F.A. Published by in House by Martin Walter Ltd., Folkestone circa 1967. 1967. Publisher's original illustrated card wrap covers [soft back]. Landscape 9'' x 8''. 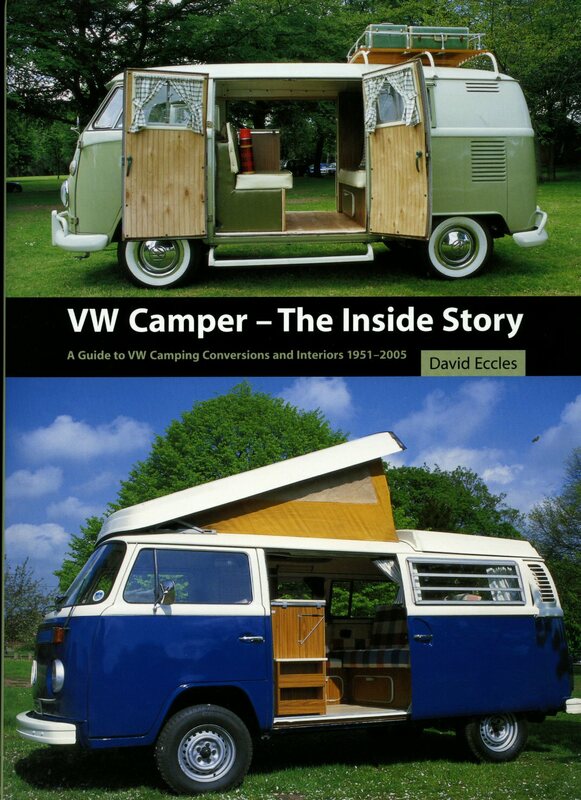 Large fold-out double-sided sheet of text with monochrome illustrations and photographs throughout. In Fine condition, no dust wrapper as issued. Member of the P.B.F.A. 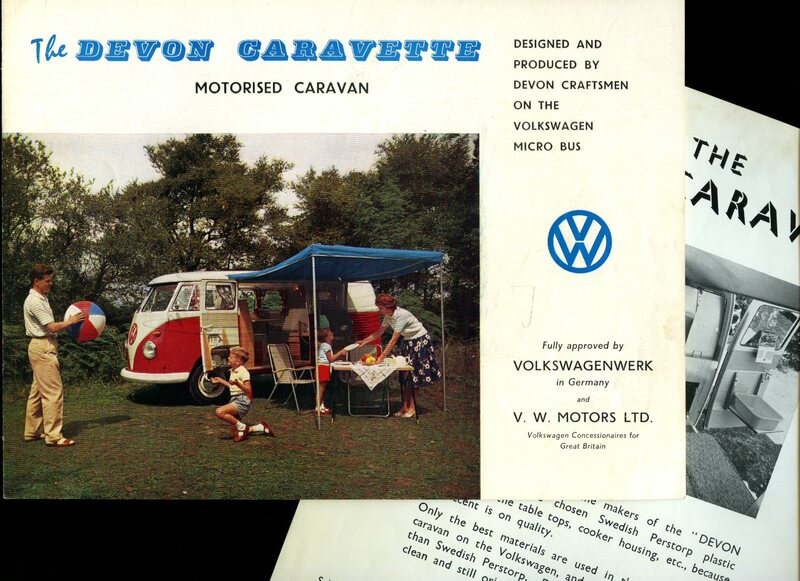 Published in House by Lisburne Garage, Torquay, Devon 1962. 1962. Publisher's original colour illustrated card wrap covers [soft back]. Landscape 10'' x 7½''. Contains 4 printed pages of text with monochrome photographs. In Fine condition, no dust wrapper as issued. Member of the P.B.F.A. 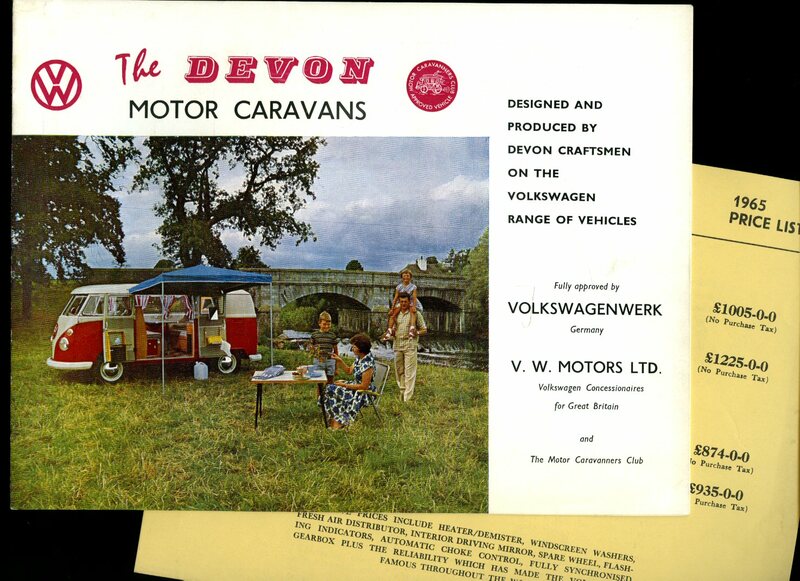 Published in House by Lisburne Garage, Torquay, Devon 1965. 1965. Publisher's original colour illustrated card wrap covers [soft back]. Landscape 10'' x 7½''. Contains 8 printed pages of text with monochrome photographs throughout. In Fine condition, no dust wrapper as issued. Price List enclosed separately. Member of the P.B.F.A. 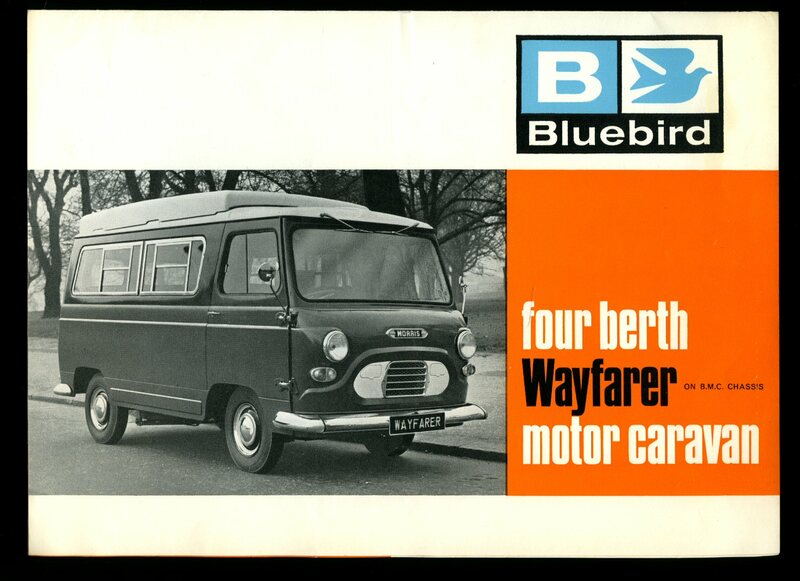 Published in House by Commer Cars Ltd., Luton, Bedfordshire 1961. 1961. Publisher's original illustrated paper wrap covers [soft back]. Landscape measures 8½'' x 12'' inches and opens to a 16½'' x 24'' double sided poster. In Fine condition, no dust wrapper as issued. Member of the P.B.F.A. 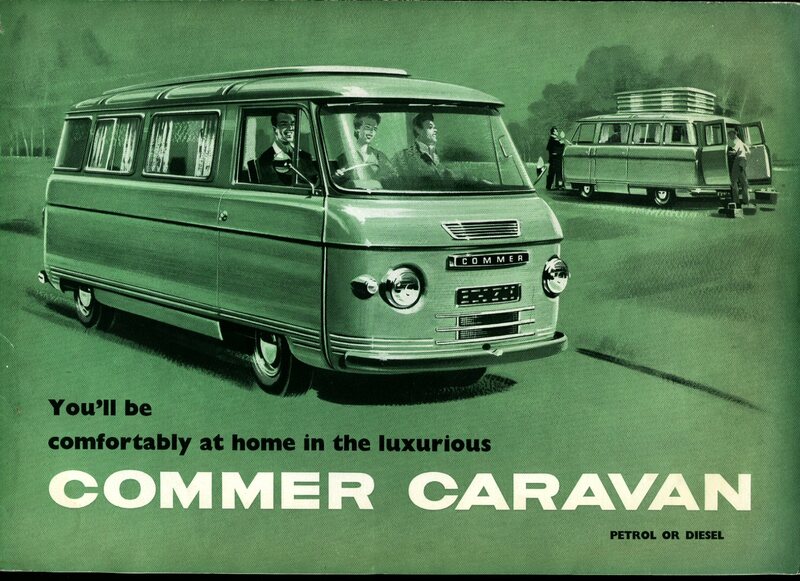 Published in House by Commer Cars Ltd., Luton, Bedfordshire 1962. 1962. Publisher's original illustrated paper wrap covers [soft back]. Landscape measures 8½'' x 12'' inches and opens in triptych to a 8½'' x 35'' double sided poster. In Fine condition, no dust wrapper as issued. Member of the P.B.F.A. 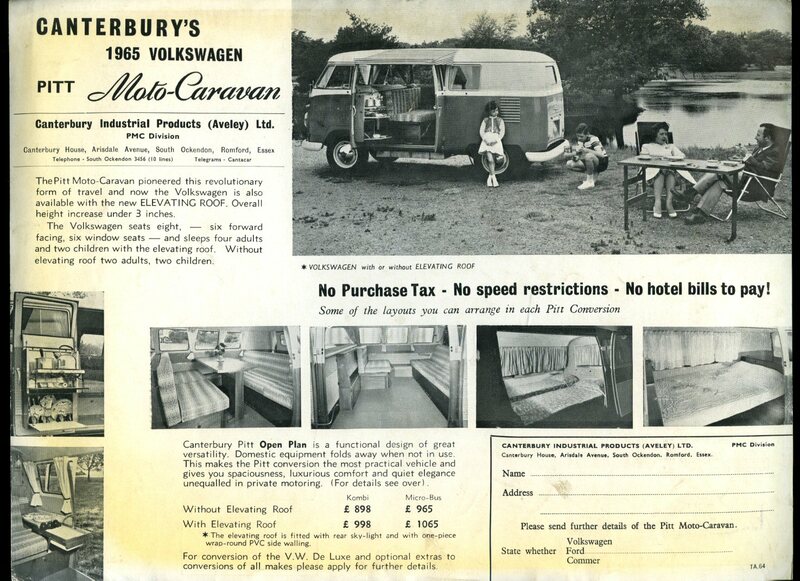 Published in House by Lisburne Garage, Torquay, Devon 1963. 1963. Publisher's original colour illustrated card wrap covers [soft back]. Landscape 10'' x 7½''. Contains 4 printed pages of text with monochrome photographs. In Fine condition, no dust wrapper as issued. Separate Price List loosely enclosed. Member of the P.B.F.A. 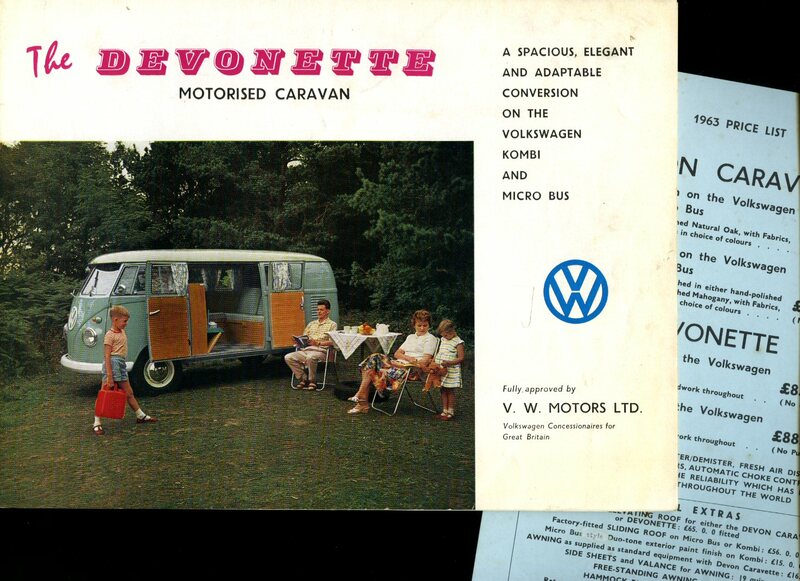 Published in House by Bluebird Caravans Ltd., Poole, Dorset circa 1962. 1962. Publisher's original illustrated card wrap covers [soft back]. Landscape 8'' x 11''. Contains 4 pages with monochrome illustration and photographs. In Fine condition, no dust wrapper as issued. Member of the P.B.F.A.